LONG time ago, there lived a king named Raden Wijaya. 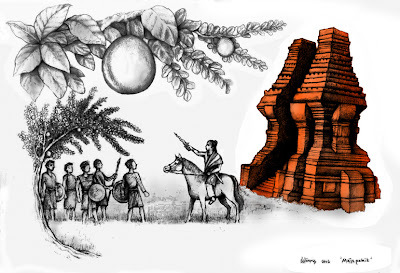 During his reign in Tasik, East Java, he found many Maja trees that had fruit with bitter taste. Thus Raden Wijaya kingdom called Majapahit. Pahit means bitter. He reigned from 1293 AD to 1309 AD. 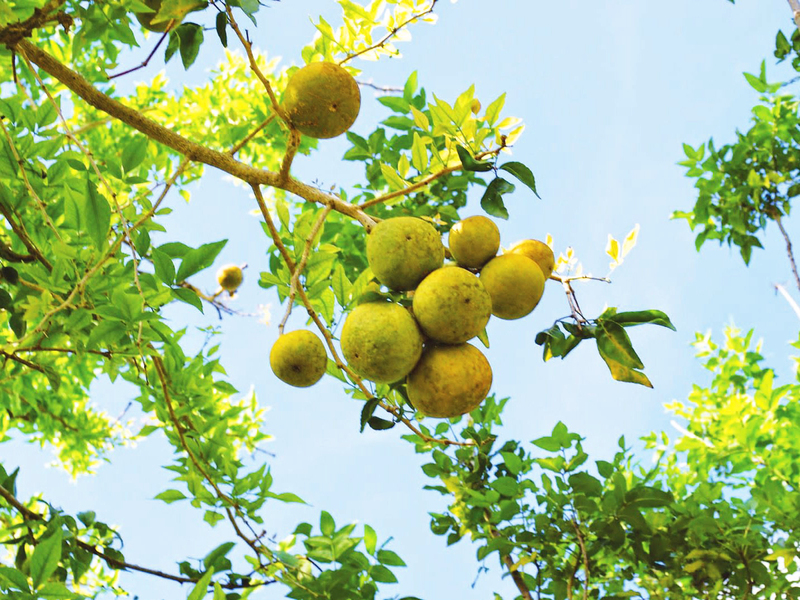 Aegle marmelos, commonly known as bael (or bili or bhel), also Bengal quince, golden apple, Japanese bitter orange, or wood apple, is a species of tree native to India, Nepal, the Andaman and Nicobar Islands and Myanmar. It is present in Sri Lanka, Thailand and Malesia as a naturalized species. The tree is considered to be sacred by Hindus. Its fruits are used in traditional medicine and as a food throughout its range. The common name "wood apple" may also refer to Limonia acidissima.